Master Boolean Logic and Raise Your Game! When it comes to golf, what’s more important – the clubs or the golfer? It should be obvious that it is not the clubs, but the technique and skill of the person wielding the clubs. 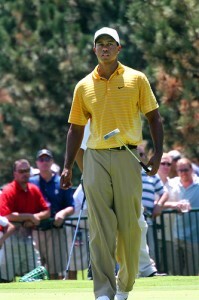 Tiger Woods could play better than most people even with 20 year old clubs found at a yard sale. If you own a set of golf clubs but can’t play 18 holes in under 100 strokes, it’s more likely due to your skill and ability level rather than the brand and price of your clubs. 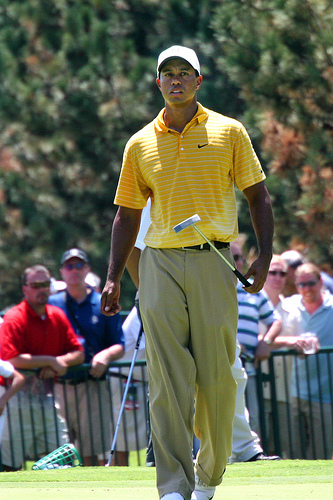 Simply owning a set of clubs (even the best available) does not make you a great golfer. Likewise, just because you have access to the Internet, an internal database/ATS, social networks, and perhaps a job board to two (which all “speak” Boolean, by the way!) – it does not automatically mean you are adept at leveraging those information systems to quickly find great candidates. You either know how to wield Boolean operators to quickly find the best talent available in these resources or you don’t. Your ability (or lack thereof) isn’t due to the Boolean operators themselves – it’s knowing how to use them and the search strategies you apply. If you are in a sourcing and/or recruiting role and you are not fluent in Boolean, you are no different than someone who owns a set of golf clubs, but who cannot play very well. It’s not the clubs – it’s on you. More information about more people is being stored somewhere electronically every day and it will only continue to accelerate and increase. Whether you realize it or not, if you are not adept at interfacing with databases, applications, the Internet and social networks (in other words, creating Boolean search strings) to find and retrieve human capital data you are already at a significant competitive disadvantage, and it will only get worse over time. Technology can be a productivity multiplier, but only if you know how to use it to its full potential. I continue to be fascinated by recruiting and staffing professionals who show no desire to learn how to apply Boolean logic to query sources of candidates for talent. Hearing a sourcer or recruiter complain about having to learn how to harness the power of Boolean search strings is like running into someone on a golf course complaining that golf is a difficult game. Why are they on the golf course? Why are they even trying to play if all they are doing is complaining about how hard it is? They’ve chosen to play the game – why don’t they stop complaining, take some more golf lessons, practice a lot, and get better? Golf is golf – the game doesn’t really change – it doesn’t get more difficult with each passing day. People who set a goal of becoming good at golf make a conscious decision to get better and take lessons and practice a lot to improve their skill and ability. Similarly, if you’ve chosen a career in recruiting and staffing (by design or by accident), instead of making excuses and complaining about how hard it is to learn Boolean logic and to create effective Boolean search strings, why not stop complaining, make a conscious effort to improve your skill and ability – get some training on how to create and leverage effective Boolean search strings, and practice a lot to get better? In this case, it’s not a hobby – it’s your career! What could be more important than learning how to be more effective at your chosen career?!?!? Technology isn’t going away. There won’t be any less information about people stored electronincally in the future – quite the opposite. Learning how to apply Boolean logic to create effective search strings to leverage information systems to increase your effectiveness and your productivity as a sourcer or recruiter isn’t that difficult – all it takes is a conscious decision to commit to improving your game, getting some training, and lots of practice.